Most car owners know when to perform routine maintenance tasks, such as having your tires rotated and your brakes inspected. When it comes to fluids, however, many have the same question: when should you get an oil change? While many manufacturers recommend specific intervals, everything from the environment to the type of traffic you typically endure can mean you need your oil changed much sooner. Being familiar with the signs you need an oil change is a crucial part of car ownership. It is important to know when to get an oil change, as many of the warning signs can create driving hazards. Old oil that needs to be replaced burns differently than it did when it was fresh. As a result, the interior of your vehicle may start to smell like oil. Individuals with allergies or scent sensitivities may find this nauseating. Waiting too long to have your oil changed can also result in loud engine sounds, as the car has to keep itself powered without fresh oil to keep these parts lubricated. Drivers and others on the road may hear knocking, rattling, and clunking sounds as the engine struggles to work. In the colder months, most exhaust pipes emit a translucent smoke. This is because of the way the hot car exhaust reacts with the cold air. The rest of the time, your exhaust should be clear. If you notice that there is a lot of smoke coming from this area of your car, it means your oil needs to be replaced. Another sign that you should replace your oil soon is the color of the oil itself. If it is dark, gritty, and dirty-looking, it is probably old oil and needs to be replaced. You can check this yourself using the oil drip stick. See your Owners Manual or any Greg’s Japanese Auto location would be glad to show you where it’s located. If you can’t remember when your last oil change was, it is probably time to bring your car in for maintenance. Car experts recommend changing your oil once every six months or so, and even sooner if you drive it in warm conditions or in stop-and-go traffic. 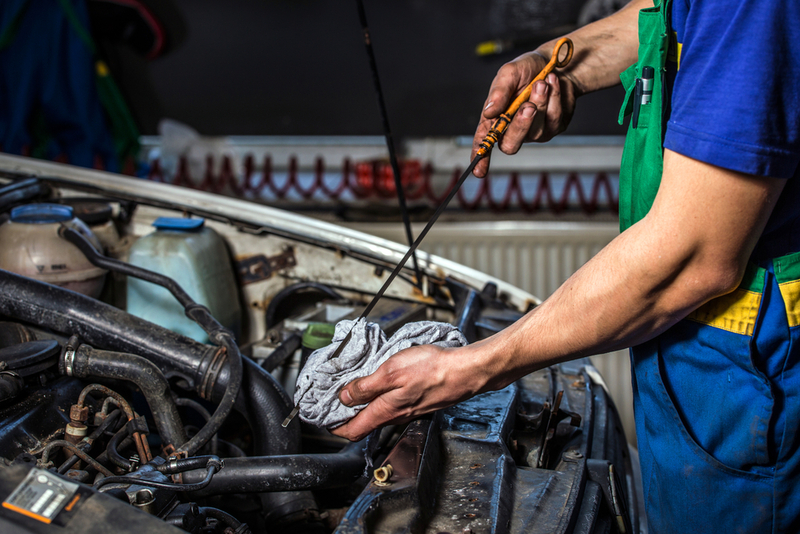 Make sure you don’t just head to the closest oil change place for work on your car. Take the time to look for an auto shop with a great reputation. If you’re looking for places to get an oil change nearby, you can visit us at Greg’s Japanese Auto. Our friendly and experienced technicians can complete your oil change or any other type of vehicle maintenance quickly and effectively. Visit us in-store or contact our friendly office staff to book an appointment today.